Houghton Mifflin Harcourt, 9780544546462, 400pp. AMIE VALPONE, HHC, AADP, founder of TheHealthyApple.com, healed herself from a decade of chronic illness. Amie cooks for a variety of clients including celebrities, using organic, anti-inflammatory foods to create recipes and meal plans. "Persevering through a battery of physicians and restructuring her food intake totally, Valpone achieved complete relief from chronic illness that had dogged and debilitated her for years. Causes of her poor health appeared to center on systemic accumulation of heavy metals and Lyme disease, among other disorders. To blaze a trail back to good health, Valpone successfully cleansed her body of toxins and jettisoned dairy products and gluten. She also rejected processed foods and anything pulled from a can. This sort of diet demands home cooking for virtually every meal. In the process, Valpone became expert at finding foods that met her requirements for both good health and satisfying flavors. She sought out obscure, nonstandard ingredients that promised anti-inflammatory benefits. The hundreds of recipes she advances may repudiate whole classes of edibles, but she is meticulous to keep her cooking flavorful and appealing by including many carefully sourced nuts, seeds, oils, fruits and vegetables." 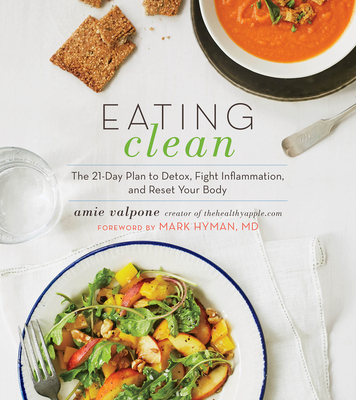 "While most Western doctors doctors treat symptons, Amie Valpone believes that many diseases can be cured simply altering your diet and eliminating toxins from your environs."